The Costa de la Luz (coast of light) is the Atlantic coast of Andalusia. The coast stretches from Tarifa in the southwest to the border of Portugal in the northwest and includes the provinces of Cádiz and Huelva. This name owes the coast to the bright sunlight that reflects on the ocean and the beautiful white sand beaches. The Costa de la Luz is a very popular holiday destination with the Spaniards but also attracts more and more foreign tourists. Discover the Costa de la Luz by reading this article in peace and quiet with a delicious cup of tea. Lower your feet into the pristine white sand, grab your kitesurf kit and dive into the Atlantic waves. This natural undeveloped coastline is sprinkled with the most beautiful beaches and attractive, authentic Andalusian cities. Some of the most beautiful sandy beaches are scattered along the coast of the province of Cádiz. Yet this incredibly beautiful piece of Andalusia remains free from mass tourism. 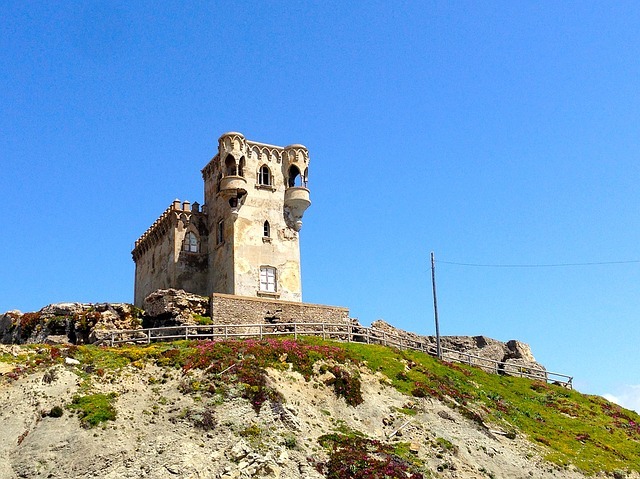 Tarifa is an Andalusian city with its own special twist. The famous windy white sand coast attracts kite surfers, windsurfers, sailors and beach lovers from all over the world. The zigzag alleyways in the old town are reminiscent of Morocco, which is located at a distance of 14 km south of the Atlantic Ocean. It results in a super relaxed city with a unique, cheerful identity and a real surfing atmosphere. It’s therefore true that this is a city where many outdoor activities come together. With its carefree international audience, Tarifa has a number of great entertainment venues, including La Ruina, an old city ruin incarnated as a nightclub. For cocktails, sunsets and tinto de verano (red wine with local lemonade), go to the popular lounge bar Tumbao at Playa de Valdevaqueros. Discover the Costa de la Luz from its beautiful beaches. 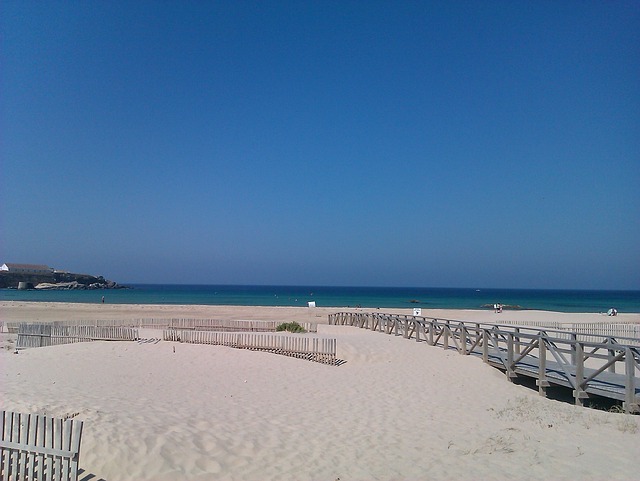 To the northwest of Tarifa lie the active, action-packed white beaches. 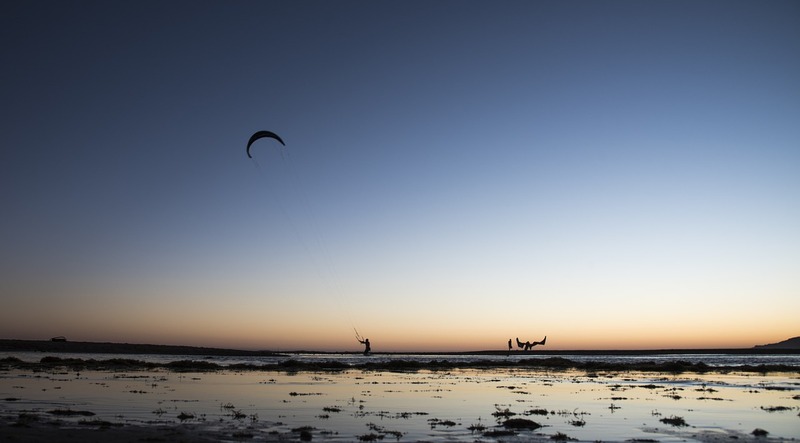 First comes the 7 km long Playa de los Lances, then kitesurfing hotspot Playa de Valdevaqueros. Approximately 10 km northwest of Tarifa you will reach the Punta Paloma beach with its spectacular sand dune and natural mud baths. One thing to keep in mind is that the Atlantic wind is unpredictable and can rise and fall from one moment to the next. But you can go to a chiringuito (beach bar) to shelter. At the height of summer, in July and August, the beaches of Tarifa sparkle with a mix of beach lovers (many Spaniards), international kite surfers and windsurfers. This is less in September, so if you prefer more tranquility on the beach then that’s the time for you to be here. Waves and Tarifa go hand in hand and you will find more than 30 multilingual schools for kitesurfing and windsurfing. The waves combined with the wind aren’t always beginner-friendly. Therefore, it’s also advised to go surfing in May, June and September because the crowds then decrease and the circumstances are (relatively) more quiet. Discover the Costa de la Luz in a unique way. Getting in the saddle in Tarifa means hours-long horseback riding along the beautiful white beaches, over pine-flanked dunes and in rugged hills dotted with towering wind turbines. The horses that are used for this are mostly Andalusian thoroughbreds (how could it be otherwise). The multilingual Aventura Ecuestre organizes hourly beach rides (€ 30) to half-day excursions to the nearby Los Alcornocales Natural Park (€ 80). The 14 km wide Strait of Gibraltar at Tarifa is one of Europe’s top locations for spotting whales and dolphins. Striped and bottlenose dolphins, long-tailed grenades, orcas and sperm whales watch the confluence of the Mediterranean and the Atlantic Ocean. From April to October, spotting these animals is practically guaranteed. If you are lucky, you can even admire endangered fin whales and common dolphins. Most whale watching tours depart from Tarifa, although there are also some departing from Gibraltar. Since 1998 non-profit research-oriented FIRMM organizes environmentally conscious tours of two to three hours with experienced marine biologists (€ 30). The best months for spotting sperm whales are from April to August. For orcas the months of July and August are recommended. The windy coast of Tarifa guarantees beautiful walks. The 1.5 km long Sendero de los Lances promenade runs northwest of the city through low, protected dunes that support Playa de los Lances. Further afield, a 7km beach walk from small Bolonia (from the N340 15km northwest of Tarifa) leads back to Punta Paloma. What a beautiful area this is, discover the Costa de la Luz by quickly booking a ticket and a nice weekend (or 3) to stay and certainly try out all the activities above. Are you a true nature lover? Be sure to check out our article about the top 5 best nature parks of Andalusia.